We do canopies. And more. 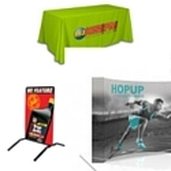 If you are looking to purchase a custom printed tent then you are at the right place. All our canopies are full digital using our dye sublimation printing process. This means you can use as many colors and text as you want. Different types of frames are available. ​Start here and we will prepare a Free visual mock-up with your logo and desired text. We have an array of printed products that you may need for your business. .We offer 3 different shapes: teardrop, rectangular and feather. Our flags come in 3 sizes: small, medium & large. Start here and receive a Free visual mock-up with your logo. 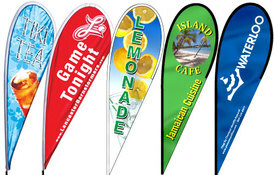 We offer traditional custom vinyl banners. You name the size and we’ll make it. 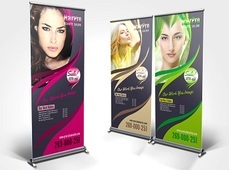 Or have a look at our retractable/roll-up banner. Start here and we will prepare a Free visual mock-up with your logo. ​From backdrop walls to custom table covers. Curb signs to printed counters.